Deborah Rhodes and Heath Mullikin share their thoughts on the latest church news and resources that are helping families and churches. 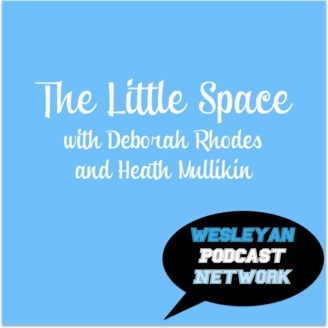 Welcome to episode 8 of the Little Space Today we talk about this article from Global Partners on husbands and wives partnering in ministry in Papua New Guinea: https://www.wesleyan.org/6120/i-need-her-beside-me Cheri Floyd is a Global Partners missionary in Papua New Guinea. Don't forget our contest to win the framed print of the Jill Briscoe quote by sharing a screenshot of your iTunes review of our podcast. Tag us on Twitter or Facebook. 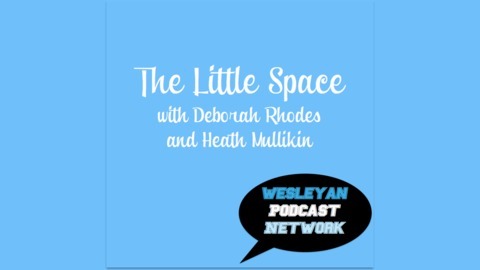 Subscribe and download on iTunes: https://itunes.apple.com/us/podcast/the-little-space-fresh-wesleyan-perspectives/id1207667830?mt=2 Join the Facebook Group-https://www.facebook.com/groups/wesleyanpodcastnetwork/ Thelittlespacepodcast.com Follow us on Social Media: @dkrhodes-Twitter and Instagram @heathmullikin #littlespacepodcast The song “Louisiana” is used with permission from An Atlas to Follow. Available on iTunes at https://itunes.apple.com/us/album/louisiana/id546234730?i=546234739.